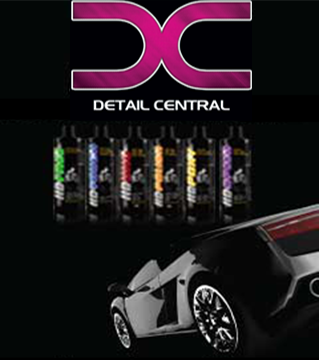 NANOSKIN IRON FREE is an acid-free, pH balanced paint & wheel cleaner / fallout remover. IRON FREE safely breaks down ferrous metallic contamination caused by automotive brakes, rail travel, and construction. Decontaminates delicate paint, plastic, chrome, glass, and alloy wheels. IRON FREE sprays on fluorescent green and turns reddish as it reacts with the iron particulates making it easier to remove. The thick & high foaming IRON FREE formula clings to vertical surfaces. Perfectly safe for use on all types of wheels when not used in direct sun or on a hot wheel. NOT FOR USE ON NUBUCK, SUEDE, FABRIC AND CONVERTIBLE TOPS. NOTE: Do not allow it to dry in the sun. Wear nitrile gloves and face protection. Use with sufficient ventilation. Spray evenly onto dry surface. Allow IRON FREE to soak for 3~5 minutes in the shade. If necessary, agitate with brushes. Rinse off with pressure washer.